We really believe there is a camp for everybody…and with so many camps to choose from in the U.S. how do you go about choosing the right camp for your child? It is a huge decision to make, and one that we think you should never be rushed into. Is the camp safe? Is it recognized by the American Camp Association? Does it have a good safety record? Do you trust the directors of the camp? Have you met them? Do you and your child feel a connection? Remember, this is whom your contact will be most of the time. Does the camp’s philosophy align with your family’s philosophy? Do you like the look and ‘feel’ of the camp itself? Are the lengths of sessions offered a good fit for your family? Does it offer all the activities you prefer? Is there a good return rate of both campers and staff? Does your child know anyone going to camp? Does it matter? It is a good idea for you as the parent to narrow down the camp selection before involving your daughter. It can be very overwhelming for a child to have to choose from 4-6 different camps. We suggest narrowing down your choice to 2-3 camps and then having your child be involved from that point on. Go over what the differences are between the camps. This is often the most important as there are so many similarities with great camps! At Marimeta, we think what makes us different is what makes us great! Our small size- both in number of campers as well as the physical size of camp! It helps create a wonderful family atmosphere where everyone knows each other, and no one is out of sight! We have our campers sit at different assigned tables each week…this helps with the girls getting to know the other campers and counselors! We also have them change beds in their cabins each week…another way of mixing up groups. Often these differences are what our campers say are their favorite things about Marimeta! Camp is a unique opportunity for your child to develop independence, be able to solve problems, make incredible friends and experience activities that they cannot experience at home! 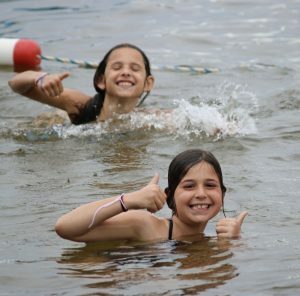 We hope every child has the opportunity to go to camp…and are always grateful for those that choose Marimeta!